It’s “IPA Week” here at Aleheads! Doc started us off with a bang thanks to his revised Best IPAs in America post. I can’t argue with the results of that one (mostly because he put me in charge of tabulating the responses, so I’d just be arguing with myself). One thing Doc noted is that we tried to leave “local” favorites off the list because of limited distribution. It’s hard to argue that say, Three Floyds Broo Doo, is the best IPA in all the land when so few of us have access to that tasty beverage. But the Aleheads hate leaving great beers unspoken for, so in that vein, we’re going to be posting some regional Top 10 IPA lists for our readers’ enjoyment. As the sole Alehead dwelling in the land of pimento cheese and kudzu, it falls upon me to crank out a Top 10 Southeastern IPAs list. When I first sent this list around, the running joke was, “Great job, Barley…you listed all 10 IPAs made in the Southeast.” Ah, but the key is putting them in the proper order, my friends. Here we go! 1. 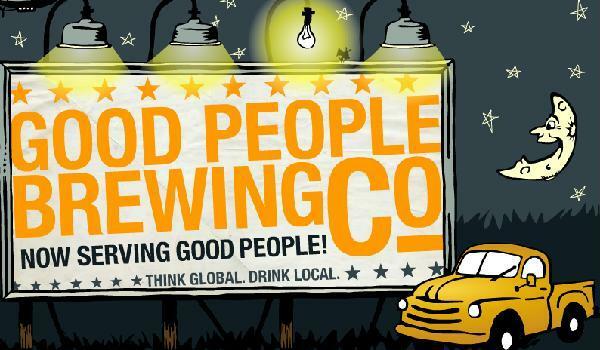 Good People Hitchhiker: Birmingham’s own Good People Brewing Company has been churning out cans of their tasty IPA and Brown Ale for months now. But what really has local Aleheads excited is the prospect of the brewery’s hoptastic, perfectly balanced Hitchhiker IPA finding its way to our package store shelves. Our friend Cask Beerouac (who now works at GP) swears it will happen some day. In the meantime, I’ll just have to belly up to the bar whenever the Hitch finds its way to my local taps. 2. 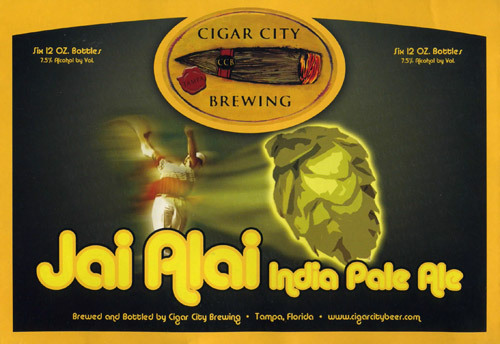 Cigar City Jai Alai: Sitting pretty at #3 on Doc’s Best IPAs list, the Jai Alai is a bottle of grapefruit, caramel, and booze. In other words, it’s perfect. 3. 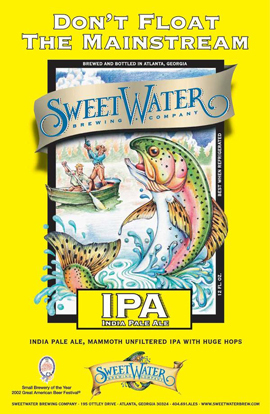 Sweetwater IPA: Sweetwater’s classic take on the American IPA drinks a little lighter and easier than some of the other brews on this list. It’s a true session brew and arguably the perfect hot-weather Southern beer. A bracing blast of hops and a mellow, bready base make this a cookout beer of the highest magnitude. 4. 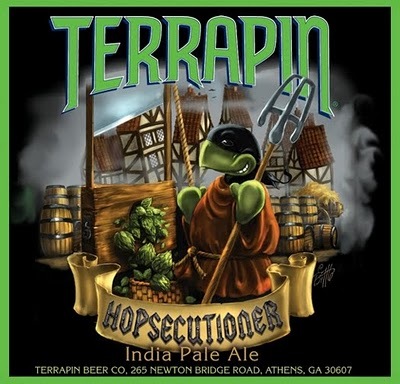 Terrapin Hopsecutioner: I like pretty much everything Terrapin makes so it’s no surprise I enjoy their standard IPA. It’s more of a hopbomb than the other brews on this list and it does finish with a touch of astringency, but this was my IPA of choice for my first few years in the South and it’s still about as good as gets in my neck of the woods. 5. 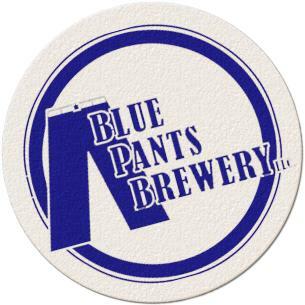 Blue Pants Corduroy: It’s a rye IPA made by a nano-brewery in Huntsville. I love everything about that statement. I’m a sucker for rye beers and I think IPAs are the perfect showcase for the earthiness and spice that rye brings to the table. A great beer from an up-and-coming ale factory. 6. Straight to Ale Monkeynaut: Every time I try this beer, it gets better and better. It’s a big IPA…on par in terms of hoppiness with the Hopsecutioner and Hitchhiker. 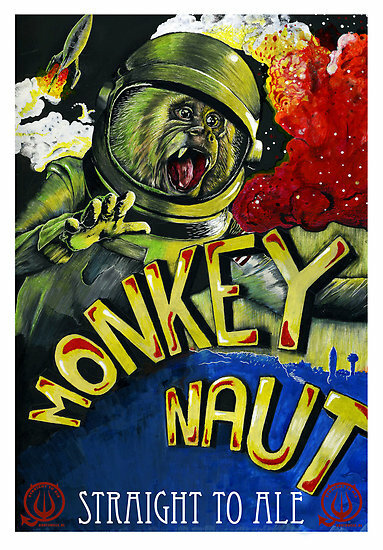 A great mouthfeel and powerful nose make the Monkeynaut a memorable brew from another very cool Huntsville operation. 7. 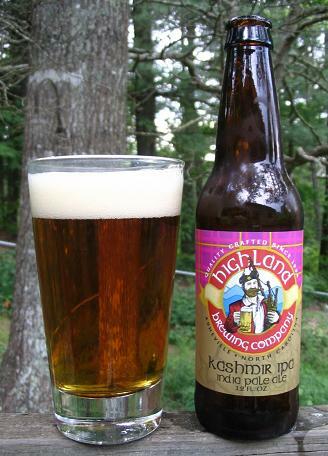 Highland Kashmir IPA: Probably the most subdued IPA on this list, the Kashmir seems more like an English IPA/American IPA hybrid. A subtle nose, nice malt backbone, and velvety mouthfeel make this an eminently drinkable brew. North Carolina’s brewing scene is top-notch these days and this is probably the best IPA I’ve had from the Tar Heel state. 8. Yazoo Hop Project: Kind of a cheat here since the Hop Project is a chameleon. 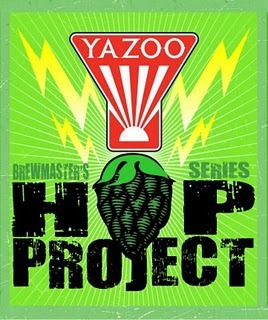 The good folks at Yazoo use the Hop Project as a foundation IPA to riff off of with different hop varietals. Every batch uses a different hop profile so every Hop Project is different. They’ve had over 50 variations at this point and, I’ll be honest, I’ve loved pretty much all of them. 9. 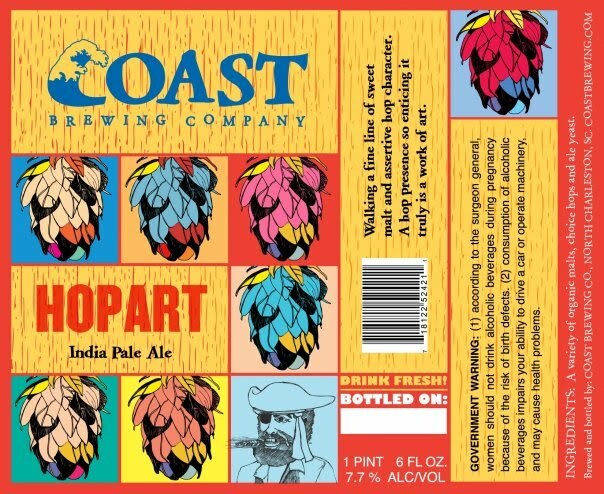 COAST HopArt: Should probably be rated higher, but it’s the only one I can’t get in ‘Bama (COAST is a South Carolina ale factory). The HopArt is the very definition of “balance” in an IPA. Sweet malt and bitter hops mesh perfectly and reveal why IPA might just be the best beer style on Earth. 10. 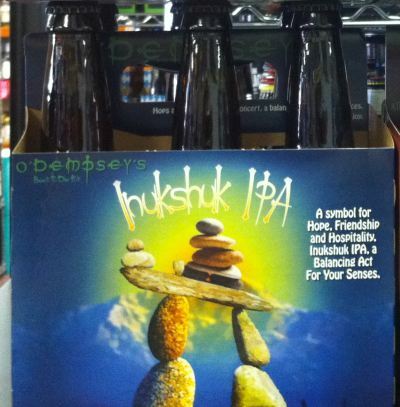 O’Dempsey Inukshuk: O’Dempsey is a brand new Georgian outfit that only produces two beers currently (a Red Ale and their Inukshuk IPA). I first sampled the Inukshuk at this year’s Magic City Brewfest. I was very pleasantly surprised by this hop-forward, well-crafted IPA from a brewery I had never heard of. I’ll be keeping my eye out for other O’Dempsey offerings going forward. 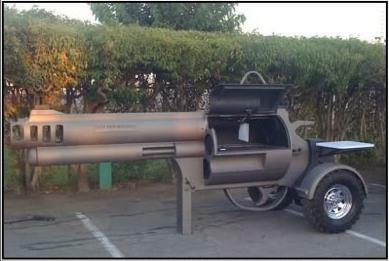 So the next time you find in the deep-fried South with a powerful thirst, grab one of these tasty beauties. And y’all came back now, ya hear! Posted in Best/Worst.Tagged Blue Pants, Cigar City, COAST, Good People, IPAs, O'Dempsy, Southeaster, Southern, Straight to Ale, Sweetwater, Terrapin, Yazoo. Interesting stuff. I enjoyed seeing some of this label art. Do all the Straight to Ale beers look that crazy? By “best” I assume you mean “nightmare inducing”. My experience is IPA’s (and ale’s in general) get worse the farther away from Oregon, Washington and BC you get. I find most of the IPA’s from California too sweet and I’ve had some very expensive beers from the Atlantic coast that were borderline undrinkable. I’ll keep my eyes open for these though.